Regenerative Gardening: Looking after the invisible! This entry was posted on 16th May 2018 by Muireann. I was fortunate to meet Alex Podolinski in the late 90's at a meeting in Camphill Duffcarrig in Wexford. He is a Biodynamic pioneer and basically the founder of Australian Biodynamic farming as it exists now. He was also one of the first people to recognize that plants have two types of root systems, one for the uptake of water, which supports the transpiration process; and much finer white "hair roots" which are the feeder roots. In artificially fertilized systems the latter are often impaired or even destroyed as most of the nutrients in such a system are supplied in a soluble from. This often leads to an imbalance in the plants and a subsequent proneness to disease and attacks from pests. Anyway back to Alex; he brought us into a ploughed field, it had been "organic/biodynamic" for many years. He showed us the structure, it did not look great, there were hard lumps which were difficult ot break up. Then he showed us the soil at the edge of the field that had never been ploughed, it was beautiful crumbly soil, dark rich etc, everything that you would like a garden soil to be. He said: "This is what you have lost." It really made an impression on everyone there. The aim of Regenerative Gardening is to bring the soil back to as close a state, or even better than, it would have been if Nature had been in charge. The aim must be to increase the soil life by creating the right conditions. Improving a soil can be compared with yoghurt or bread-making; with the right ingredients and under the right conditions miracles can happen. Yoghurt can be made in about 4 to 5 hours, and yeast or sourdough bread will rise well when the requirements are met. 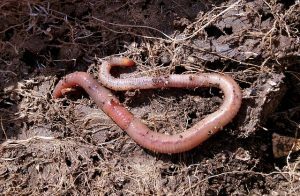 So it is with soil, soil should be teeming with life, bacteria, fungi, earthworms, nematodes etc. 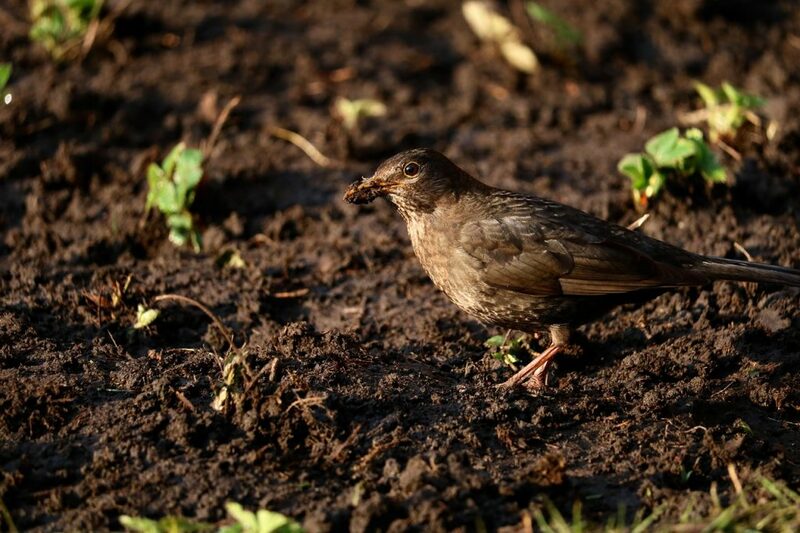 These organisms will help make a soil fertile for plants to grow on, and vice versa the plants will benefit the soil, it is mostly a symbiotic relationship. Minimal digging, initially you may have to dig to get a garden established, but after that you may have to loosen soil (Biofork) but do not turn over. Mulching, either with dead material like grassclippings, straw (Strulch) or a living mulch (Greenmanures). Mulches protect the soil form drying out and also from temperature changes. They also keep the weeds away. Composting. Good compost (Compost Renew)will add organic matter, nutrients, but also lots of life to a soil. It is like an inoculation of good organisms to the soil. We can add Bacteria( Soil Renew or Bona Vita Bac ) to the soil or compost, but also mycorrhizal fungi(Myko-Aktiv). Or you can use Biodynamic preparations or Compost teas to stimulate the invisible life below the surface of the soil. Rock Dusts can really help improve conditions in tired soils. Lime is the best known, but and application of Basalt works very rejuvenating. A wide rotation is very important, for this it is important to keep good notes of what was planted where every year. There are a few models, for example: Alliums(onion family), Brassicas (Cabbage Family), Roots, Leguminous(Beans and Peas) plants alternating, or the Biodynamic model of: Leaf, Flower(grow more flowers, they are beautiful! ), Fruit(Peas, Pumpkins, etc.) and Root crops alternating. A combination of both is best, as some brassicas may be roots for example. Potatoes need to be kept separate from this again, so a 5 year rotation would better. Rewilding areas in the garden will improve the conditions for beneficial insects and other animals, a pond and an area with wildflowers or a beemeadow will attract lots of insect life. All these measures above will help to create the right condtions for an improved life below groundlevel, this in turn will be expressed in an abundance of growth above the ground, with healthy vibrant nutritious plants that will be flavoursome and healthgiving to the people that consume them.